Scary spooky skeletons send shivers down your spine, and mine too. Throughout video games, skeletons have played a major role as soldiers, minions, and monsters. Somehow these skeletal, bone marrow-made beings are able to move around while lacking all of the muscle fibres, cerebral cortexes, and life that usually makes that all possible. Yet they still do the bidding of their masters or command armies of their fellow boney compatriots to make video games just that little bit creepier. And this list isn’t about your Manny Calavera’s or your Sir Daniel’s, I’m talking about the weird ones. Skeletons in video games rarely mirror their real world counterparts and the skeletons in Nightmare in the Dark keep up that fine tradition. What did this unholy beast of a skeleton look like before his demise? Anyway, what really got me about this skeleton is how doggedly it pursued you even though it clearly isn’t mobile. Nightmare in the Dark is an arcade game that’s usually best played with two people. You play as these little goblins who have lanterns that spit fire. There are mummies and zombies, but at least they still have some semblance of muscle fibres and tissue. When the skeleton tries to jump your way, he ends up face planting into the ground falling into a heap of bones. You end up feeling a little more sorry for the skeleton, but then you realize it’s trying to kill you so you douse it in fire. Always imagined them complaining that the armour didn’t fit properly. Normally this spot in the list would be reserved for Sandro, the most prominent Lich from Heroes of Might and Magic. However, every Necromancer needs a solid army to build their empire. 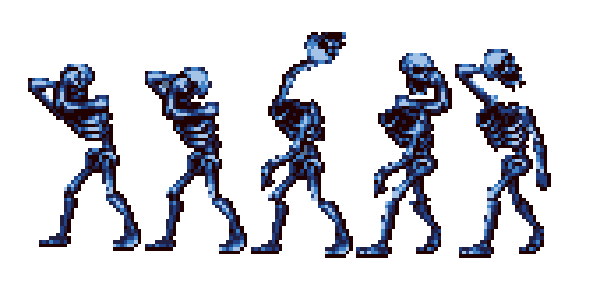 It’s these skeletons that do the dirty work and the liches ensure that every enemy is a potential ally. 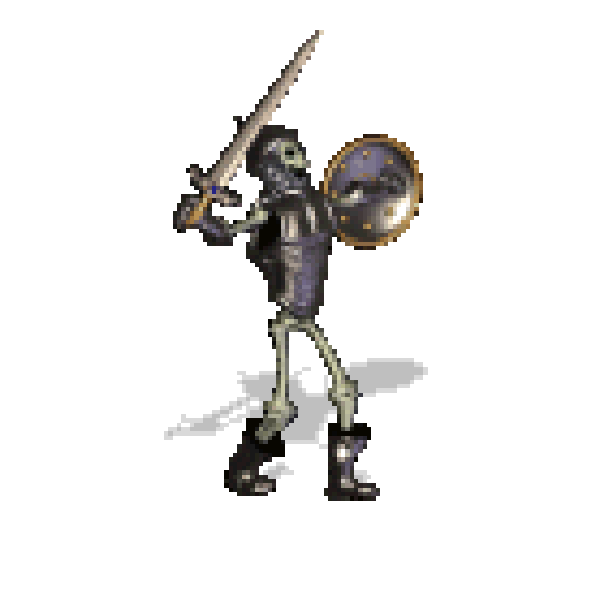 In Heroes of Might and Magic 3, the Skeleton transformer takes regular units and turns them into skeletons. It’s usually a one-to-one transformation with 100 peasants turning into 100 skeletons, but that’s the payoff. Skeletons are one of the most powerful first tier unit in the game and when they’re upgraded they become even more buff for what little skin they have on their bones. Just imagine the thousands of units poured into the structure having their skin and muscles ripped off into order to turn them into skeletons… creepy. 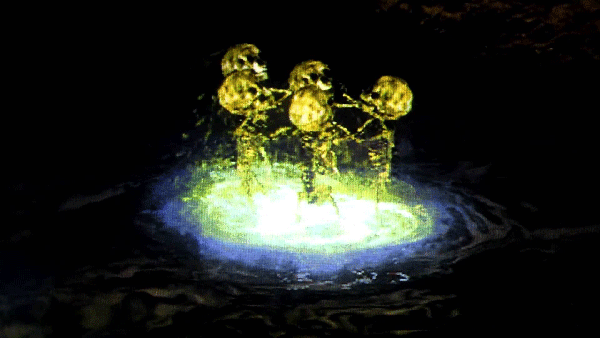 Liches in the game also have a Necromancy ability that allows them to turn defeated enemies in every battle into skeletons. With each level of proficiency, the number of lives lost turning into the minions increases. So if you kill 1000 peasants an expert-level Necromancer could bring back 300 of them. They’re an unstoppable force and they’re super cool. 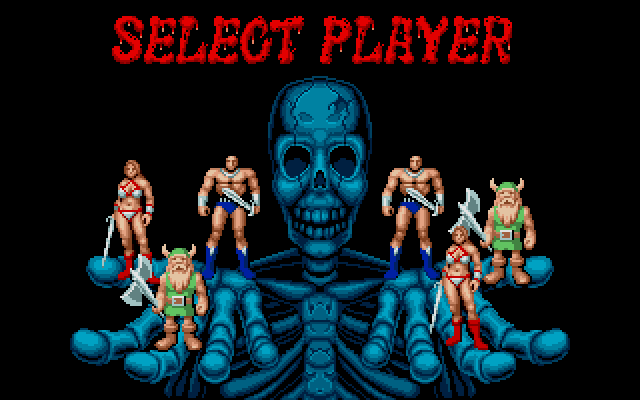 How freaking large is the Select Screen Skeleton in Golden Axe?! I mean, seriously he’s large enough to hold a normal human sized male and a strangely sized drawf-like being. If we do the math, it turns out that this skeleton is around seven times the size of a regular human male, so about 13 meters or 43 feet tall. So why isn’t this skeleton throwing his weight behind Death Adder? It’s a good question, but he seems content to creepily stare at the player and help them pick another victim for the barrage of multi-coloured minions, pitfalls, and unbeatable bosses who are on the way. Kinda ruins dead baby jokes. Dark Souls is filled with weird, weird stuff. Gravelord Nito, for instance, is a skeleton made up of a thousand skeletons who spread an evil plague wherever he goes. 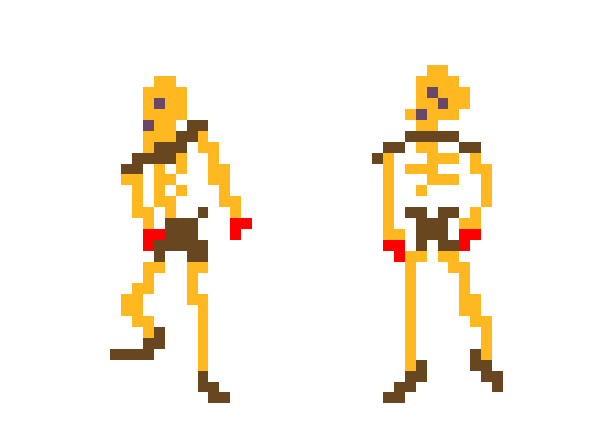 Even he pales in comparison to the skeleton baby enemy in the game. So were these human babies who got turned into skeletons? Or were these the result of skeletons somehow having children? Well the origins of these little guys doesn’t really matter, but what makes them creepy is that they’re a good source of Humanity, which is an item in the game. The little enemies drop them at a rate of 5 per cent making them one of the highest to have this drop rate in the game and people kill scores of them to get more. So whose really the evil one here: the person who created the skeleton babies or the person who kills thousands to harvest the remnants of their souls? Crystal Castles is a little known arcade game that stars a bear named Bentley Bear who has to collect gems through semi-3d environments. It was available on the Atari and utilized a trackball to move Bentley through the game’s environments. It was also one of the first games to feature an actual ending while most arcade games would have a “Kill Screen” that simply denoted the end of the game’s ability to keep going. 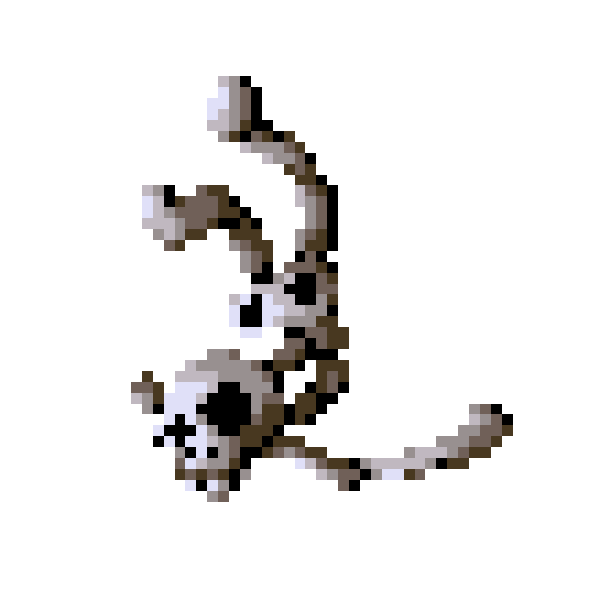 The Dancing Skeleton is one of the enemies in the game. He doesn’t exactly dance so much as he shambles around while passively looking at Bentley Bear stealing away the crystals around him. What makes him creepy is just how little there is to know about the enigmatic enemy. He has two sprites, you’re looking at them above, that animate him and that’s really all there is to him. The only discernibly unique part of him is his red hands. Could the red be the blood from the many Bentley Bear’s who have fallen to his dancing whiles? Could it be he’s holding two crystals to prevent Bentley from taking them? Are they just gloves? I don’t know, I just don’t know. Skeleton! What are you doing?! How dedicated are you to your job? Would you willingly dismember yourself at the behest of your boss? Well if your boss is Dracula and you have nothing to lose but your bones, you might be a good candidate to be a Blue Skeleton from Castlevania. Almost all skeletons from Castlevania willingly throw parts of themselves at the game’s protagonist, but the Blue Skeletons — sometimes thought to be made of ice — usually explode when they’re killed. It kind of makes you think how these skeletons manage to even see the player or if somehow they just have a sense of where you are that isn’t facilitated by the eyes they don’t actually have in their heads. While it might be thought that skeletal minions are completely brainless, Mother 3’s description seems to contradict this. The Cheery Skeleton’s happiness is feigned and once it gets fed up with dancing around it curses its fate. Maybe it welcomes a second death at the hands of Salsa. It takes a lot to make me scared. Dalmatians are a big no, no for me and so too are public toilets, especially in movie theatres. 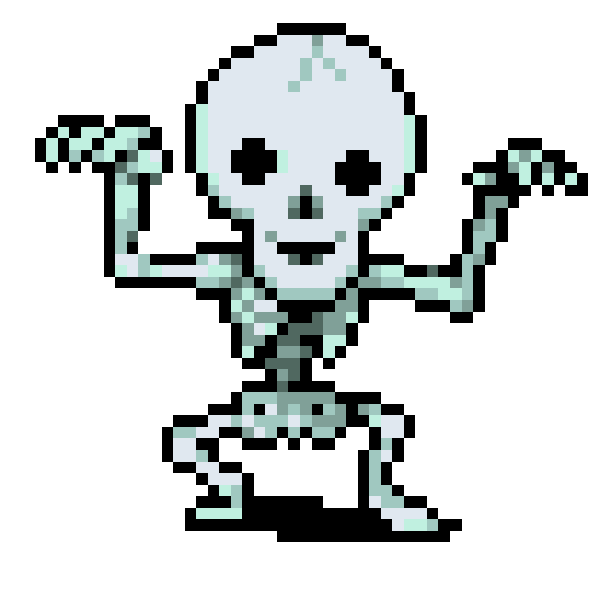 However, there’s a specific skeleton in a specific licensed Disney game that always freaks me out. 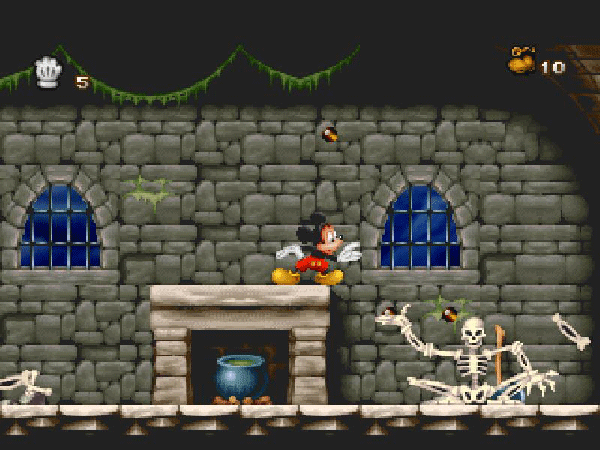 It’s the skeletons in Mickey Mania: The Timeless Adventures of Mickey Mouse. It all has to do with their animation. Most of the time, skeletons move kind of rigidly like they’ve been made stiff by their dry bones. They move so organically like they’re still somehow alive yet they just love blowing themselves up. What kind of sentient creature does that? Freaking skeletons. This entry was posted in Gaming and tagged Best Skeletons in Video Games, Halloween 2015, Skeletons, Skeletons in Video Games. Bookmark the permalink.